In a nutshell, the brand is called Parachute because it's actually composed of materials used in making real parachutes. Awesome, right? 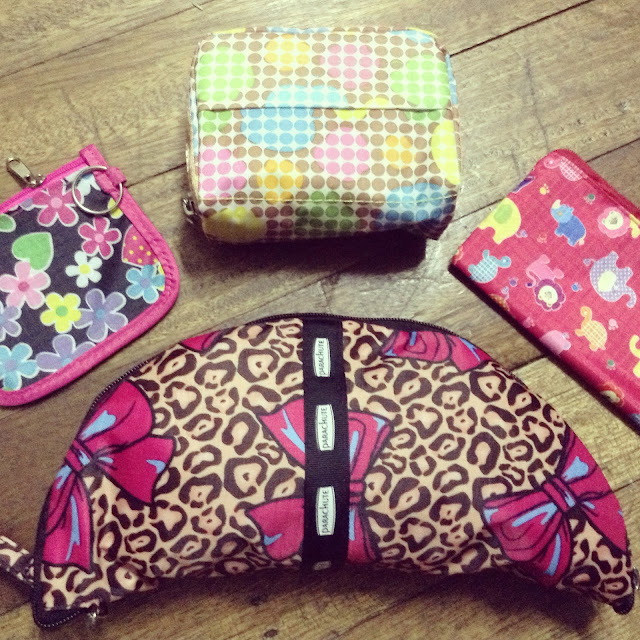 :) Even if the bags are convertible and roomy, you're sure that they're light, indestructible and water repellent. 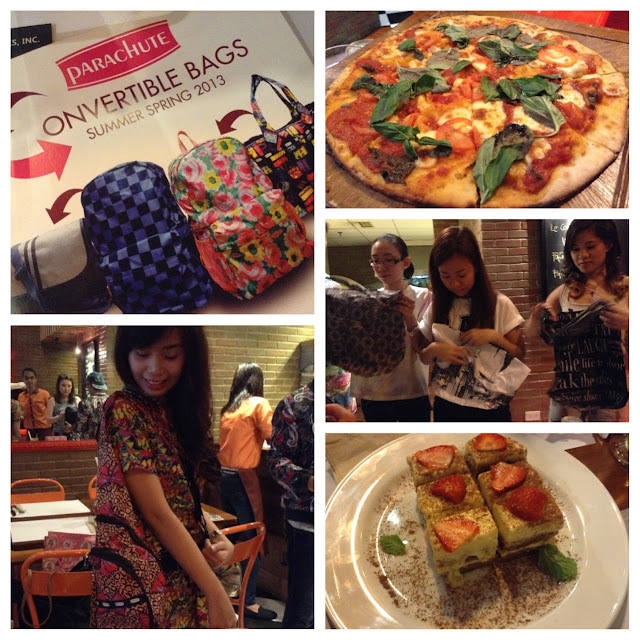 The blogkada and I graced the launch of Parachute's Spring/Summer 2013 collection last Friday. 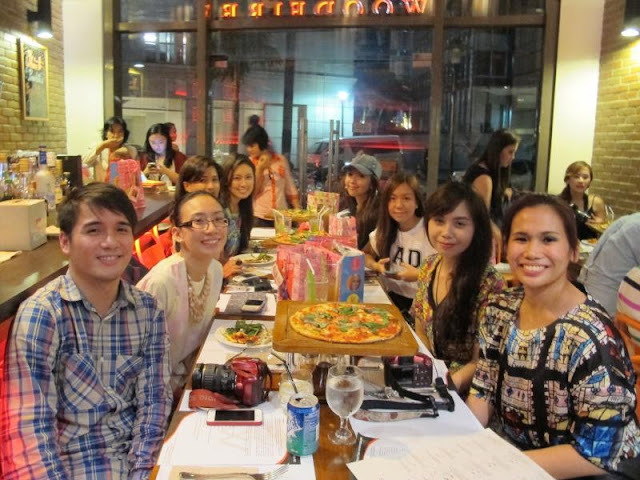 It was held at Woodfire Bistro in Rockwell. Upon entering the venue, we were given the chance to choose a product/design that fits our fancy! It took me long to come up with a decision. Everything's beautiful!! Each bag can be converted from one style to another. It looks like a pouch one moment (you can place it inside your luggage when traveling) and when it's time to use it, open it up and you'll have a huge tote or backpack! For moms out there like my dear friend Ava, this bag is perfect for you! It can hold baby bottles, diapers and other stuff. It also functions as a ladies classic style handbag. This bag can be a great travel or shopping bag. Kids will also love this 'cause it looks like a hamburger pouch at first, then another minute, it can turn into a school backpack. This is the smallest and lightest among the Parachute backpack collection. It can be folded for easy stow away in your main bag or cabinet until used. Great for all ages! Channel two different personalities rolled into one Parachute bag! Make sure to like their Facebook page to see their whole collection. 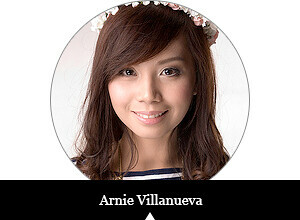 You can also get promos and updates there!